Tomlinson, runner-up last year, was seeded to go one better in Austria's second largest city. 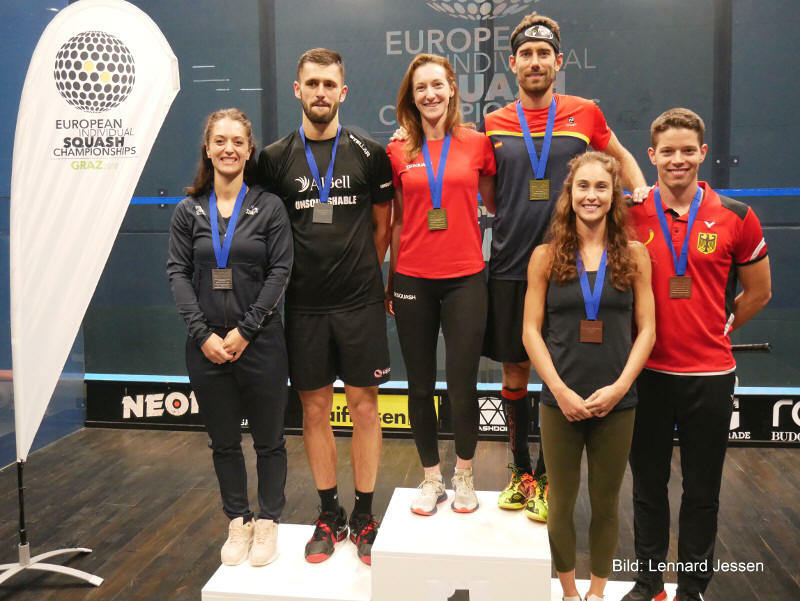 After defeating Belgian Tinne Gilis in the semis, the 26-year-old from top seed Derbyshire reached the final without dropping a game. World No.27 Tomlinson battled for 56 minutes to clinch the title for the first time, beating Aumard 11-9, 12-10, 4-11, 11-7 to become the first English winner of the women's trophy since former world No.2 Jenny Duncalf in 2010. But 3/4 seed George Parker, the world No.52 from England making his debut in the event, still had more to offer in the final - taking the higher-ranked Spaniard to match-ball in the fourth game after building up a 2/1 lead.